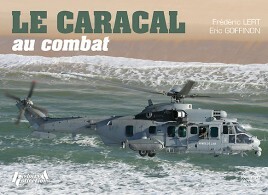 The H225M "Caracal" flew for the first time on 30 November 2000. This is the first European helicopter specifically designed for the most complex mission, the combat rescue. In 2006, just days after its entry into service in the Air Force, it was employed as part of the operation Ballista in Lebanon: its autonomy, its power and its capacity for self-protection make it the ideal device to slip several hundred European nationals out of Beirut, trapped in the fighting between Hezbollah and the Israeli army. Today, in 2016, ten years after its entry into service in the forces, the Caracal is already the veteran of several wars under the French colors, Afghanistan, Mali, through Libya and Chad. Never has a helicopter so quickly accumulated so many titles in its operational career. The H225M is also a bestseller in export. The book includes thirty exclusive testimonies and stories, illustrated with exceptional photos.